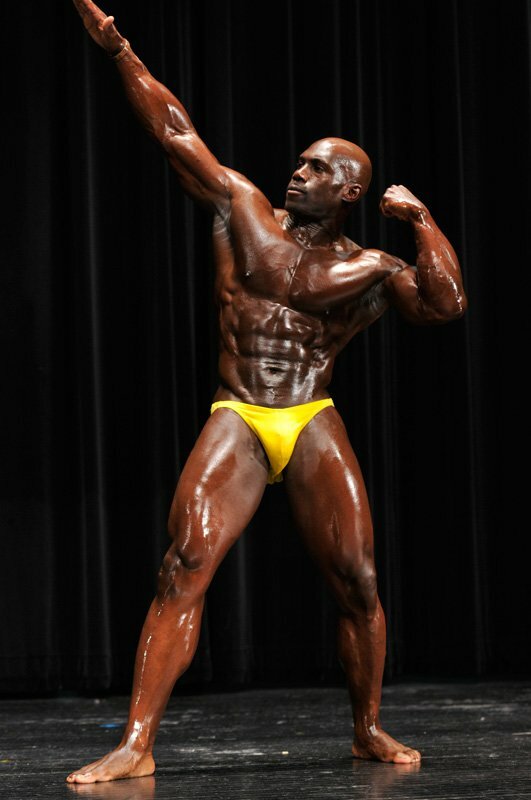 The Air Force is well-represented at national bodybuilding competitions by Marcel Thom! Muscle development came naturally for Marcel, who loved football but found that bodybuilding loved him more. Aside from being a sergeant with 18 years experience, Marcel Thom is certified personal trainer and a national-level bodybuilder who has earned sponsorships and coverage in Flex and Muscle magazines. After a string of successes as an amateur, he's looking to aim even higher and earn his pro card. Congratulations to Marcel Thom, our military bodybuilder of the month! Featured in Joe Weider's FLEX magazine twice in one year. I was a football and track standout in high school. Lifting weights and strength conditioning was something that I always enjoyed doing. After high school, I continued to lift vigorously due to the fact that I was transitioning to playing football on the collegiate level. I wanted to lift every day! Back then, I lifted weights more or less for bulk and size. My resistance training continued after I enlisted in the U.S. Air Force, when I began to really notice how my body was becoming more sculpted every month. I finally decided that bodybuilding was my sport and my passion. My friends and family were telling me all along that I was a mesomorph and that I should be on stage. The toughest transition for me was leaving my mom and dad and traveling to a foreign country. Leaving for college was not as bad because my family could always drive to visit me. My first duty station was in Germany, so my mom took it really hard once I enlisted in the military. My mom and I have a very close relationship. My family was not with me, so I had plenty of time to devote to the gym and eating right. I always remind people, even the clientele I train at the gym, that there are 24 hours in the day, and there is no excuse not to allot just 35 minutes to an hour to do some type of workout, whether it is resistance training or aerobics training. I've always had a passion for coaching football, so that may have been where I decided to pursue my past-time niche. The biggest obstacle in leading a military lifestyle is certainly the uncertainty of moving and deployment operations. There are several things that enlisted service members try to accomplish while on active duty, but which are cut short due to deployments, etc. Your goals can be met, but you have to find a way stay focused and determined in order to complete those goals. Just like I mentioned above: There are 24 hours in the day. I believe that everyone whether military or civilian, should devote at least 30 minutes, three days per week, to a moderate fitness plan. We are all tired and sluggish after a long day at the office, but in the end, we have to be disciplined, and we are all responsible for our own actions. Do you think it's more or less difficult for military men to stay in shape, as opposed to civilian men? I believe that whether military or civilian, we have to find a way to bridge the gap and find ways to begin a workout routine, as opposed to excuses. If I am a civilian and I am devoted to health and fitness, and I would like to build up my body, I will find a way to achieve this goal whether or not I am being graded. What I use: I am an avid user of anything Prosource! If it's not Prosource, it doesn't deliver! To turn pro in 2012 at the NPC NorthStar Classic in Eden Prairie, Minnesota. 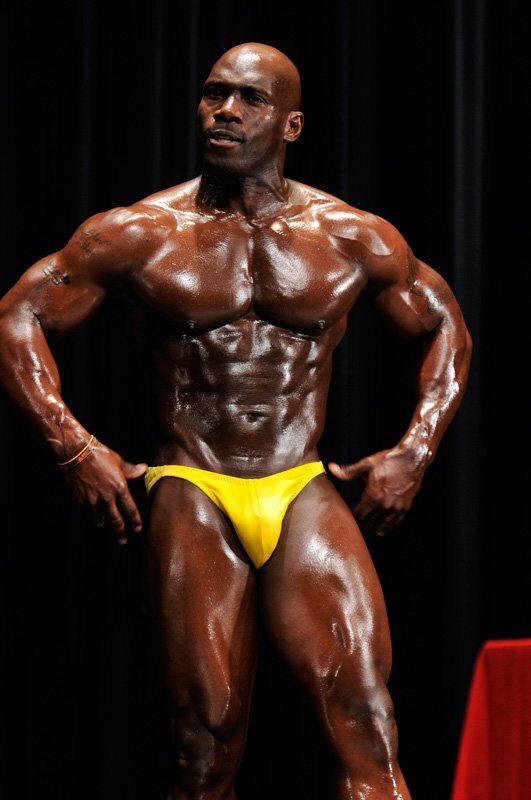 Editor's Note: Marcel placed second in the Masters division at the NPC Northstar on Sep. 29. Ronnie Coleman, Arnold Schwarzenegger, David Henry, and Kai Greene. To stay disciplined and focused! Once you lose sight of those two components, you will fall behind with the rest who are not as dedicated and committed to this very rewarding sport. Also, I would like to give thanks to my wife Janan and my son Malik for supporting me throughout both my bodybuilding and military career.